While we love the look of pink in home design, unfortunately, it is too feminine for most home buyers’ tastes. 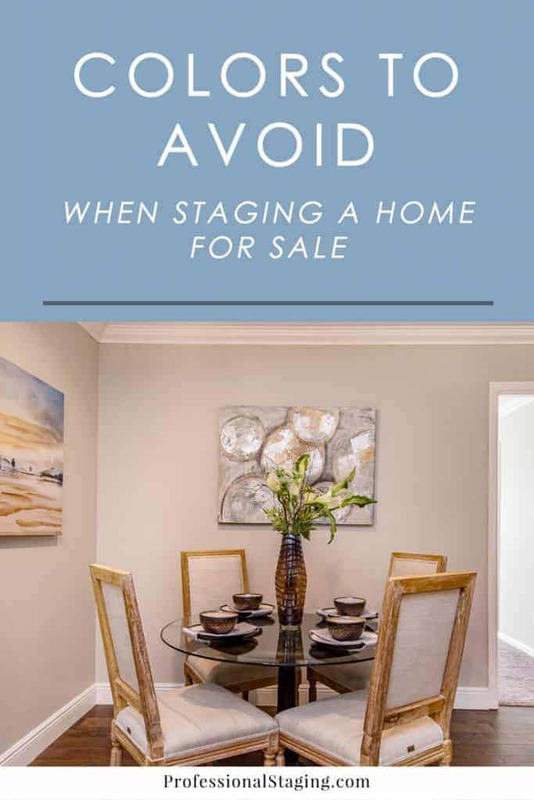 Home staging is all about to appealing to the greatest number of buyers possible, which means keeping it as gender neutral as possible. While pink can be an incredible color to decorate with, it has a very specific look that can alienate a lot of buyers who can’t relate to the vibe or simply get distracted by it. Like pink, purple is a gorgeous color that is typically considered a more feminine one, even though it can be swung in a more masculine direction with the right decor. However, when it comes to staging a home to sell, it’s best to stick with the colors that are decidedly gender neutral so there is no room for error. Red is a wonderfully powerful color to use in home decorating, but that same power can be overwhelming to home buyers because it attracts so much attention. The purpose of home staging is to enhance the home without detracting from it. Red is such an eye-catching color that it can distract buyers from what they should be looking at: the home itself. The only exception would be a very small accent or red or if there is a red element in the home that you can’t remove, such as a red kitchen, in which case you’d want to accent it with a few red (but very contemporary) accessories. Extremely bold, bright colors are a turn-off to most home buyers, who are usually looking more for a relaxing ambiance rather than an energetic one. While neon colors can be a lot of fun to decorate with, it’s best you save them for your next home.